VmBix is a multi-threaded TCP proxy for the VMWare Sphere API written in Java. 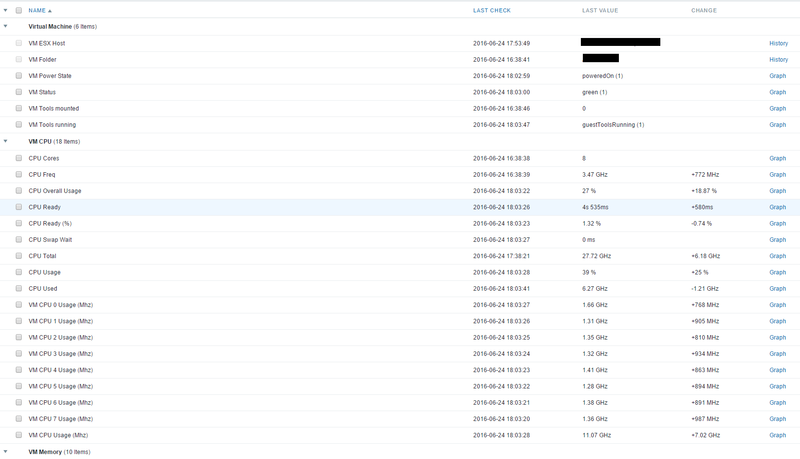 It accepts connections from a Zabbix server/proxy/agent or the zabbix_get binary and translates them to VMWare API calls. VmBix helps you to overcome this limitations, with very good performance. It is multi-threaded and can be queried using a Zabbix loadable module. VmBix comes with a Zabbix loadable module for best performance. Here is the VmBix project page : https://github.com/dav3860/vmbix.